It was enclosed in gold with diamonds and rubies studded on it and looked like the death dealing staff of Lord Yama and monkeys were dismayed on seeing it and Rakshasas regained their courage. 78.Makaraksha the son of Khara goes for war. Having spread on the ground around all the sides of the sacrificial fire, with other weapons along with lances, that Rakshasa seized hold of the neck of a live goat, entirely black and consigned it to the fire. Then that Hanuman saw Sita, the wife of Rama, the best among women, bereft of joy, wearing only a single braid of hair, looking miserable, with her face emaciated due to fasting, dressed in a single worn-out clothing, unadorned and with all her limbs covered with dust and dirt; in the chariot of Indrajit. After killing her with his great sword That Indrajit climbed in to his chariot and with joy roared loudly. All the monkeys who were standing in front of him , head his roar , when he shouted with wide open mouth , sitting comfortably in the tower of his aerial chariot m, which was unreachable for others. 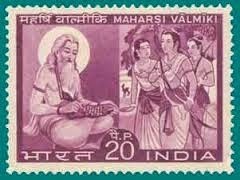 84.Vibheeshana wants Rama r to send Lakshmana to stop the yagna in Nikumbila. Then that son of Raghu clan shining with anger in that battle showing great agility tore off his bow. Then the extremely angry Lakshmana pierced the bodies of all Rakshasas in the battle field showing his speed in sending the arrows with three arrows each and also struck Indrajit with several arrows. Seeing that horrifying arrow which was very harsh , which cannot be stopped by any being , which can tear off all the weapons in a battle , Lakshmana stooped it using the arrow of Maheswara. “But I shall make that hoax a realty today ,which would please my mind . I shall kill Sita , who is devoted to Rama , the bad warrior.” After saying this to his ministers he immediately drew out his sword. The very angry Ravana, who was very much agitated in his mind because of the grief for his son's death, springing up suddenly and taking his excellent sword, having the dazzle of a clear sky, went forth from the assembly hall along with his ministers swiftly and quickly to the place where Sita was.